I have probably posted almost a dozen biscotti recipes on this blog. 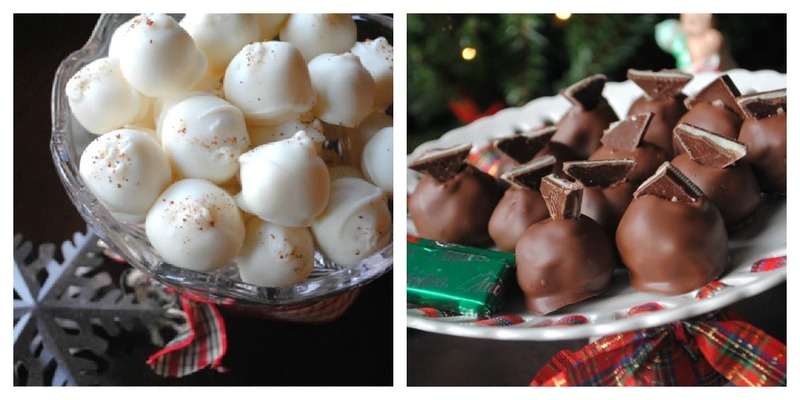 Cranberry Orange, Chocolate Peppermint, Snickerdoodle, Turtle and many many more…. 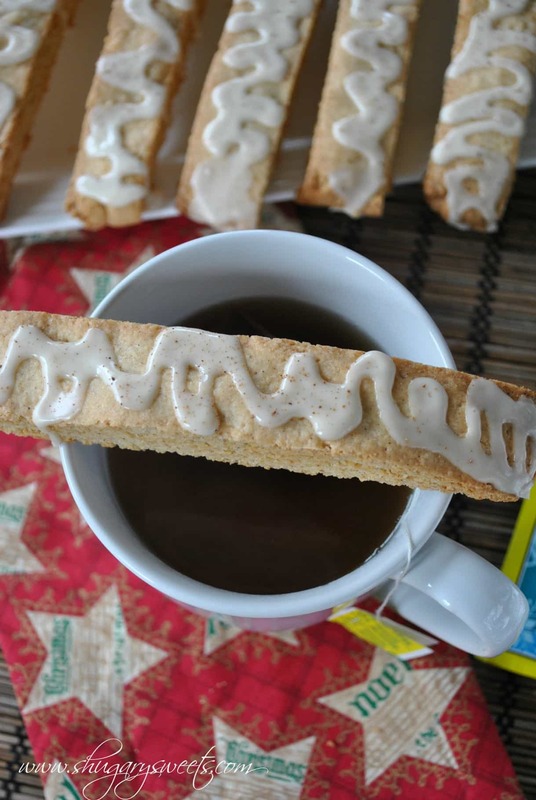 I realized the other day as I was sipping on my coffee and crunching on an Eggnog Biscotti WHY I love it so much. Biscotti tastes so much like a crunchy cookie (and remember, I love crunchy cookies!?!). It’s now okay to eat cookies for breakfast, just call it biscotti! And eggnog? Well, seriously, eggnog is a must in my house during the holiday season. I can literally drink it from the carton! Over. And over again! These would be real pretty boxed up with some pretty ribbon to give as a teacher gift or a hostess gift! Try some of my other varieties too! Biscotti keeps really well in an airtight container (I actually just use ziploc freezer bags). ENJOY! In mixer, beat butter with granulated sugar until creamy. Add eggs and rum extract. Add flour, baking powder, cinnamon and nutmeg. Bake in a 350 degree oven for 28-30 minutes. Remove. Allow to cool about 10 minutes. Slice biscotti into 12-14 slices (about 3/4-1 inch each). Turn them on sides and put back in the oven. Bake 20 minutes. Remove and cool completely before adding glaze. For the glaze, whisk the powdered sugar, eggnog and nutmeg together until desired consistency. Drizzle on cooled biscotti. Allow to set (about 20-30 minutes)- or refrigerate to "speed set" the glaze. Store biscotti in airtight containers! ENJOY. 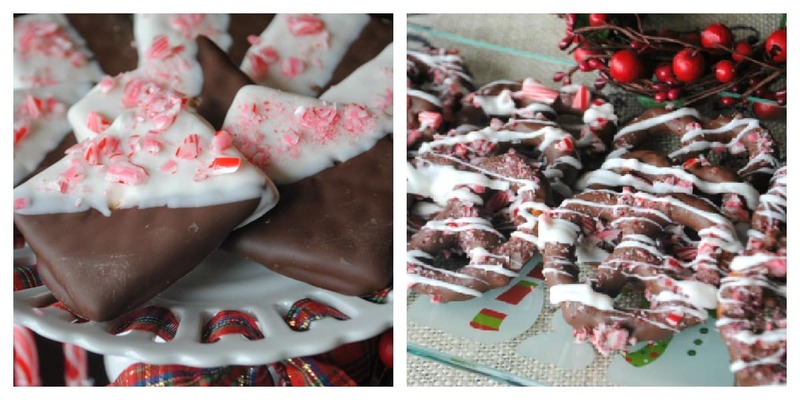 Both are fun to make ahead of time and arrange in a pretty box with ribbon! Do you prefer NO Bake recipes? 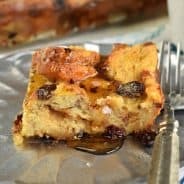 Easy and delicious, but very little work? Finally, I love giving the gift of fudge! There is nothing more beautiful than a delicious plate of tasty candy! 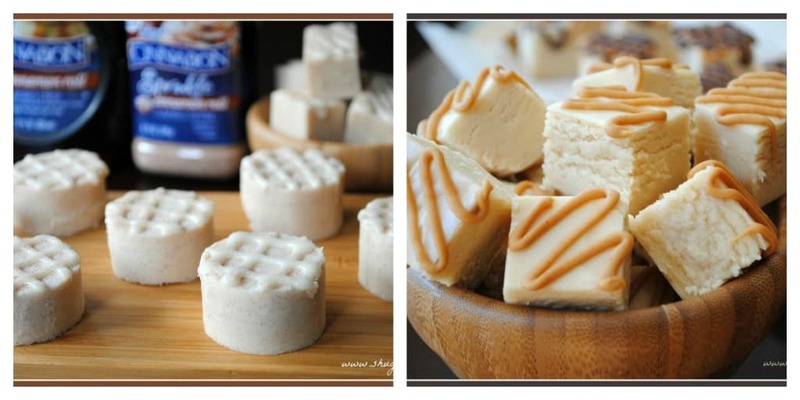 Try making some Cinnabon Fudge or Peanut Butter Fudge for your candy tray this year! Now I really really need to buy some eggnog. Still gonna try your eggnog muffins first and then these second! Biscotti is one of my favorite things to make. It’s so easy, and looks impressive too! Give it a try April!! Making them right now with my Joe. I’m excited! Oh. My. Heavens. Those were positively delicious!!! They’re gone. We all adored them. I’m making another batch tomorrow. Thank you!! So glad to hear you enjoyed them! I think I need to make another batch too! I just polished off a batch of snickerdoodle biscotti in 3 days. By myself! I’m posting them today if you’d like to stop by! Thanks again!! You’re right–biscotti makes it totally acceptable to eat cookies for breakfast! I love this egg nog version. I’m with you–I can drink it by the carton. So glad there is another carton drinker….eggnog is so good!!! yes!! my coworker said the same thing the other day – i was wondering why everyone loved biscotti so much and she said, “it’s because it’s like a COOKIE for breakfast”…these eggnog ones are perfect for the season!! You’re an evil eggnog genius and I LOVE IT!! Can you believe I’ve never made biscotti? 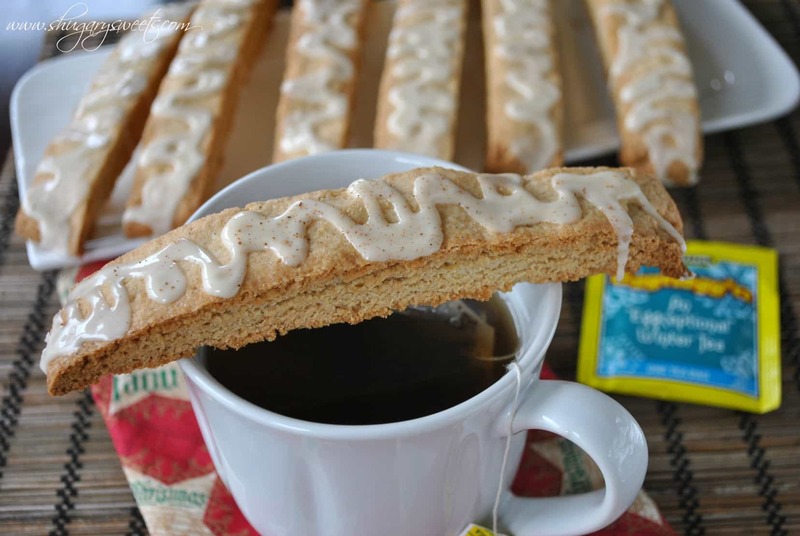 Only because I’m lame which is a bad reason BUUUUT I’m thinking I need to make this biscotti this Christmas because it looks SO good! Hayley!! You need to get on that biscotti bus and bake some up soon! I could totally go for one of these right now!!! These are amazing! Oh..how do I learn to make eggnog! 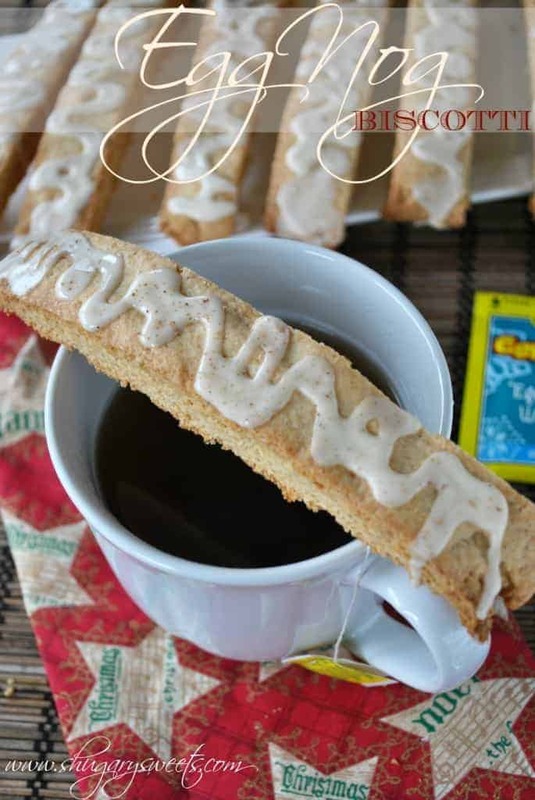 I would enjoy these biscotti with cup of tea so much..
Power to the carton eggnog drinkers…I’m with you on that confession:-) I like the idea of cookies for breakfast…now if only they were chewy and not crunchy, I think I would like it better. Eggnog flavored sure sounds yummy though!!! 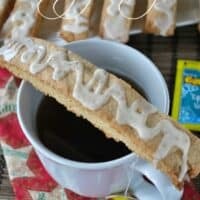 I love baking biscotti, and this looks like such a unique twist on a favorite! Can’t wait to try it! Considering how much I love both biscotti and eggnog, this sounds like a win win to me! This post is dangerous! Look at all of these goodies. OK…I have never made biscotti and been wanting to try to…so I just may give this recipe a crack this week…YUM! Holly, you definitely need to give it a try! Biscotti sounds so intimidating, but it’s not! Then you can enjoy this special treat all month long, if it lasts that long in your house! Okay, make a few varieties, then it *might* last! I’m all in favor of cookies for breakfast! 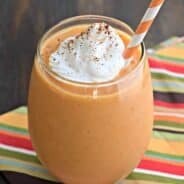 I’m on an eggnog kick & these look awesome! Could go for a few right now! 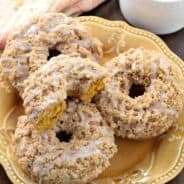 Any comments on the pack-ability of these with the glaze on top? Will it smudge, smoosh, etc? Or is it more like a coating that is more stable?